As much as we don’t like to admit it, sometimes it can be difficult to keep the Christmas spirit alive. While we’re all very good at organising Christmas functions, buying gifts and sending cards, did you ever secretly feel like some of these “Christmas tasks” were more of a duty rather than a delight? As we grow older, it seems more likely that we will find times when we struggle to keep the Christmas spirit alive. If this resonates with you, we’d like to let you in on one of our little secrets for getting and keeping that special Christmas feeling.It’s quite simple, really: instead of writing a list of shops to visit and Christmas gifts to buy, come up with a list of Christmas gifts to make. 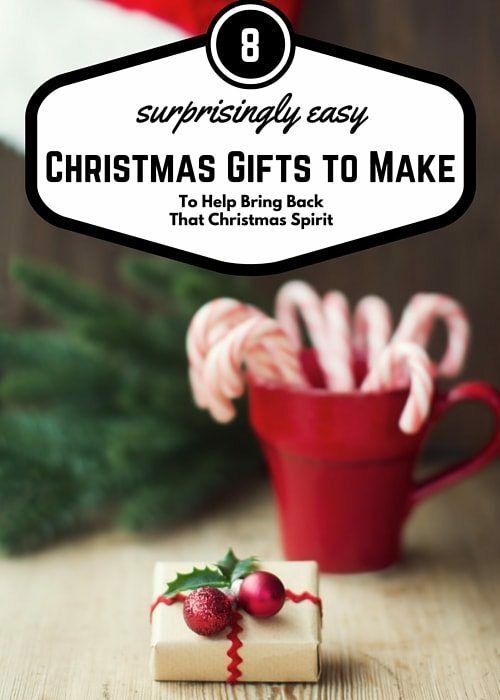 By taking the time and going through the thought process required to hand-make a Christmas gift, you’ll find that you will start feeling happier and much more “giving” than if you had bought something at the store. When buying presents, particularly if working from a large list of people to buy for, your thoughts are usually focused on ticking off your list while grimacing as you mentally add up how much the gifts are costing. When creating a gift by hand, you’ll find that your thoughts will be much more focused on the creative or physical task in front of you, and you may even find yourself daydreaming about the gift recipient’s reaction when they open your gift. Right now you’re probably thinking “I’m too busy to start making gifts by hand!” and we absolutely understand: no one really has an abundance of extra time, and certainly not during the festive season. We just ask that you consider making just one Christmas gift this year as an experiment to see if it increases your festive cheer these holidays. 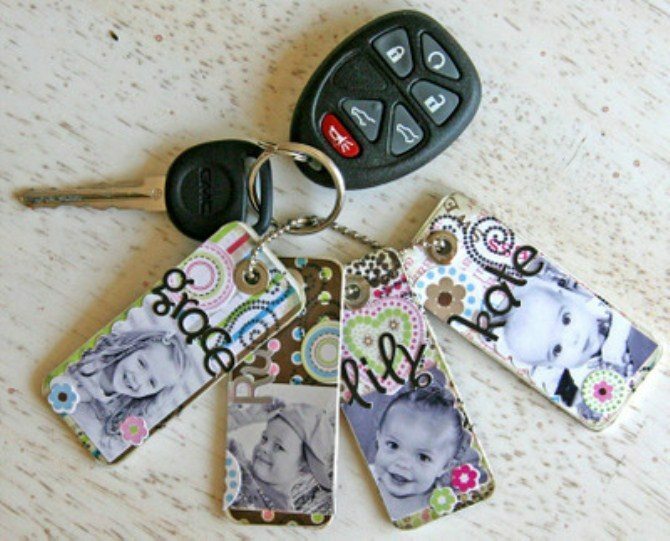 Keyrings are a common gift, but a set of keyrings personalised with the names and photos of the members of someone’s immediate family – that’s a different story altogether. 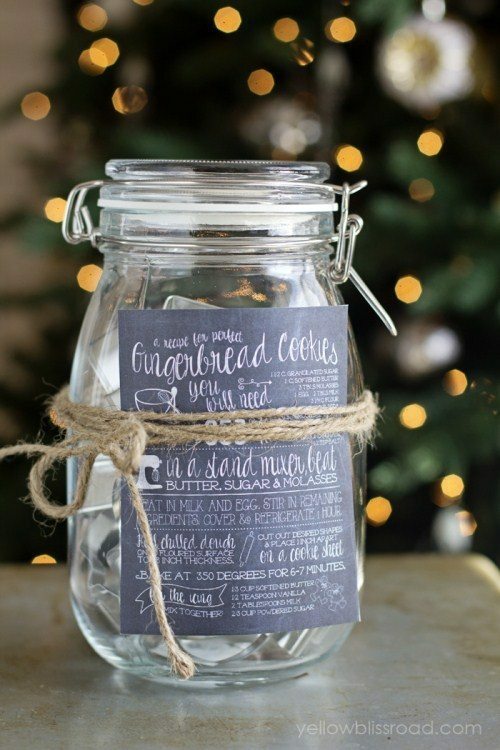 This DIY Christmas gift is guaranteed to be appreciated. This delicate piece of jewelry is the perfect understated homemade gift for someone who enjoys the finer things in life. 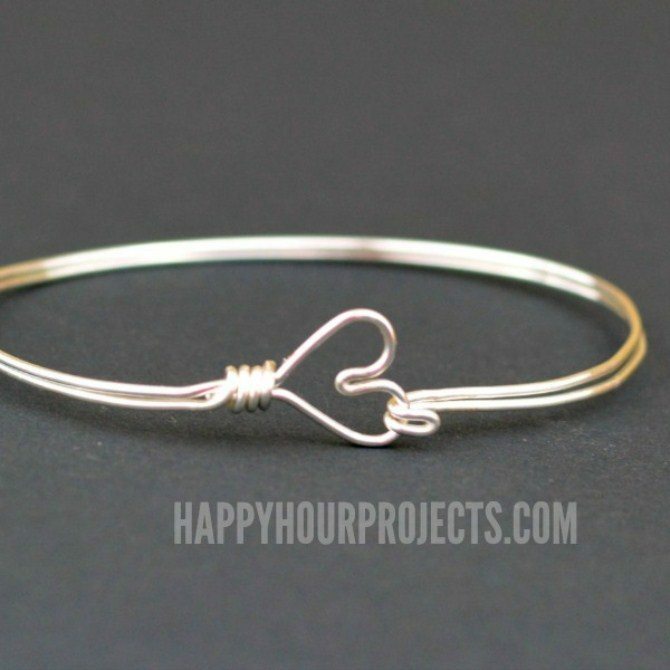 We think this bangle is perfect for anyone from a teenager through to an elderly relative. 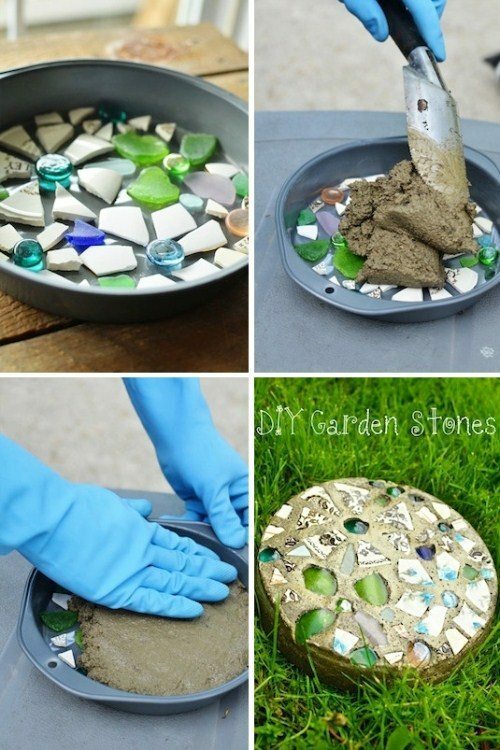 Make-it-yourself garden stones would be perfect Christmas gift for anyone who enjoys spending time in their garden, or even for someone who has just moved into a new home. Many people have a signature dish: their go-to, fail-safe dish that everyone loves and everyone requests that you bring to a dinner party. You’ve probably been asked for the recipe numerous times, and most likely you’ve brushed off the request, claiming that you “just make it up as you go along.” As a homemade Christmas gift with a twist, pass on your secret recipe to one chosen person, and give them enough ingredients to make the dish for themselves. You can guarantee yours will be the most memorable and sentimental gift they’ve received in a long time. 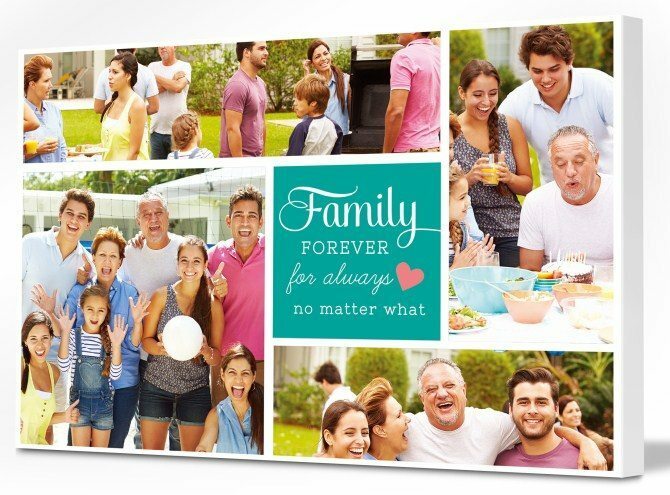 For the ultimate personalised Christmas gift, round up your favourite family photos – whether from Christmases past or any other occasion – and turn them into a family collage on canvas. Reach out to older relatives and ask to make copies of any old family photos they may have, keeping in mind that family friends may have old photos too. This is the perfect gift for someone with whom you share a long history, like a sibling or cousin. Imagine their surprise when they see that you’ve unearthed family photos that they may never have known existed. 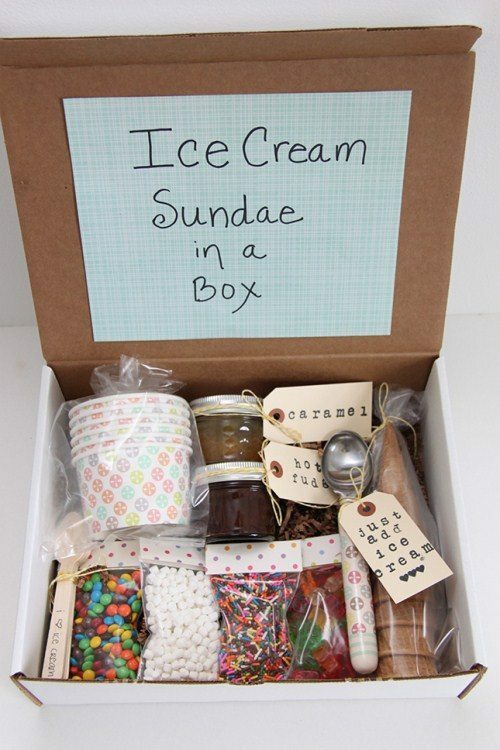 A fun homemade Christmas gift idea, an ice cream sundae kit gives you the opportunity to share some of your favourite crazy ice cream sundae topping combinations as well as including some new ones in case your gift recipient wants to experiment. To make the gift box look extra special, take the toppings and decorations out of their regular packaging and repackage them in clear, uniform-sized bags. Finally! A Christmas gift idea that will appeal to teenagers and preteens, arguably the hardest to buy for (unless you want to go down the route of giving gift certificates). 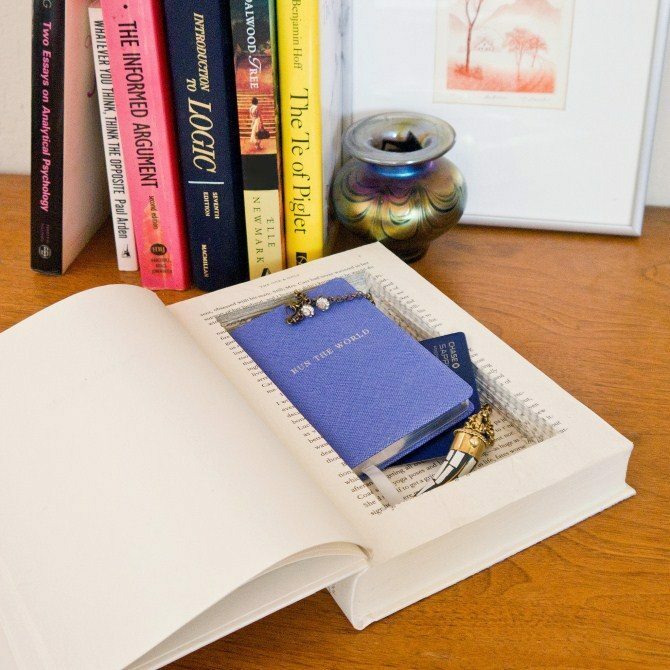 Many kids and teenagers are interested in the world of spies and espionage, and they’ll love having a secret spot to store their private notes and anything else they don’t want people rifling through. It can be hard thinking of present for friends and relatives who travel a lot, especially those who are based overseas. It’s unfair to give them a large, bulky gift that they then have to try to pack into their suitcase or take as an extra piece of hand luggage on the flight home. 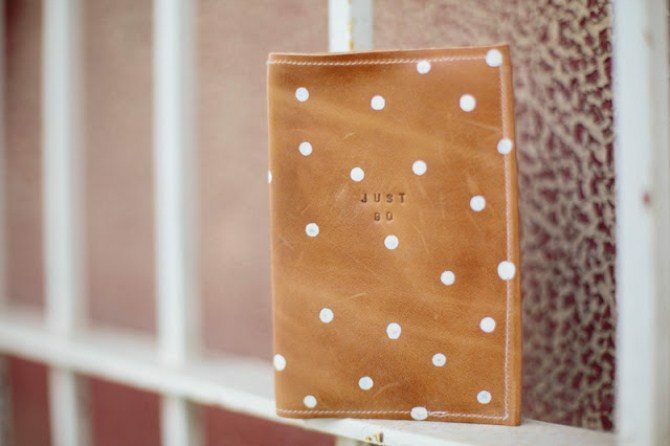 Instead, think about accessorising something that every frequent traveller holds very dear: their passport! You’ve put a lot of thought, time, and effort into creating a handmade gift for someone special, and we are confident that your overall mood and sense of Christmas spirit will be greatly improved because of it. If you can, try to take a photo of the look on your gift recipient’s face when they see handmade gift that you’ve created just for them. Or, ask someone to take a photo of you together with the gift recipient and the gift itself, and then turn that photo into a personalised canvas print. That way, when gift-giving time rolls around next year, you’ll have a reminder of the internal benefits of thinking about Christmas gifts to make rather than Christmas gifts to buy.